Thousands of dogs have now been treated with stem cells from their own fat for arthritis, tendon and ligament injuries, and muscle injuries. A small sample of fat is collected from the patient, sent over-night to Vet-Stem’s lab and processed. 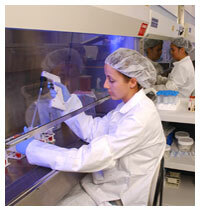 Concentrated doses of stem cells are then sent back, over-night, making the procedure a 48 hour turn-around time. Vet-Stem offers cell banking and cell culturing to provide stem cells for the lifetime of your pet. In Veterinary Specialty Hospital we specialize in different types of surgeries as needed for your pet. While your pet is under general anesthesia we have the ability to monitor levels of carbon dioxide, oxygen saturation, blood pressure (indirect and direct), temperature and electrical and rhythmic heart activity so that we can address the immediate needs of your pet during this event. A veterinary technologist is responsible for monitoring these different parameters. Diagnose and treat patients with cancer who carry them smears , aspirates and / or biopsies guided by sonography different organs. 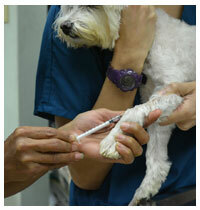 Once diagnosed , undergoing surgery or chemotherapy as recommended by a certified veterinary oncologist . We also perform studies and specialized surgeries for patients with neurological problems. We can evaluate your pet for heart problems. This evaluation includes monitoring and oxygen pressure , electrocardiograms, chest radiographs and echocardiogram ( ultrasound of the heart) , which are viewed and evaluated by a certified veterinary cardiologist. 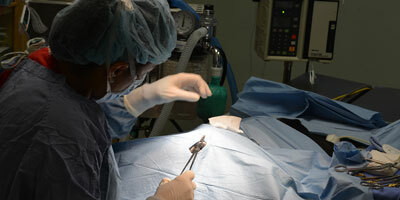 We also perform studies endoscopy and colonoscopy for patients with gastrointestinal problems. Patients with respiratory problems may do a bronchoscopy and bronchial lavage if necessary. We have equipment to do cystoscopy , or evaluation of the bladder inside. Your pet have skin problems and recurrent ear , we have a video otoscope with an irrigator for a deeper clean . We perform digital radiography, contrast studies with barium, myelograms, and sonograms. These studies are evaluated by a certified veterinary radiologist. 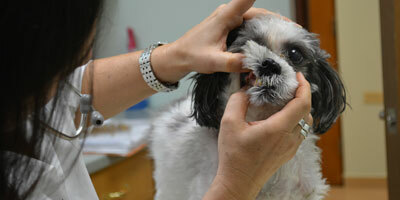 The standard is that your regular veterinarian will make oral cleaning your pet. We are an extension of them to perform procedures on patients who are at high risk for anesthesia, extractions or require complicated and invasive procedures. In our laboratory facilities blood, stool and skin smears and ears are made as needed by the patient results when, as Labs are also used references to the United States for more specific tests. Our commitment to your pet goes beyond examination and / or operate, we rehabilitate. We have a full service rehabilitation for post surgical patients, neurological patients with orthopedic problems (eg arthritis), and those who need physical fitness in general. Our services include manual therapy techniques, use of modalities such as LASER therapy and neuromuscular electrical stimulation, exercise programs and conditioning both in our facilities and exercise programs for the home, among others. We are continuously growing to rehabilitate your pet effectively and improve their quality of life.